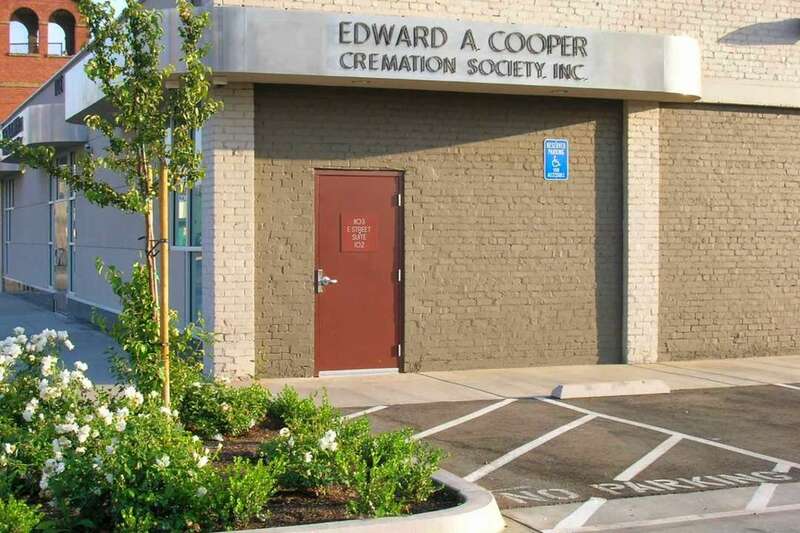 Edward A. Cooper Cremation Society is located on Mariposa Street, serving the community of south-west Fresno and San Joaquin Valley. As the city is surrounded by cemeteries, the funeral home is within a 30-mile radius of several burial grounds. The single-story, brown-brick facility contains a lovely chapel that can accommodate up to 100 guests. The company operates its own onsite crematory, which helps keep costs down. In addition to traditional burial with chapel or graveside ceremony, the funeral home also provides direct cremation and cremation with memorial services as part of their overall funeral service. All ceremonies can be personalized to make funerals meaningful, memorable occasions for families and their friends. The Edward A. Cooper Cremation Society was founded in 2008 with the goal of providing the highest quality funeral services and cremation at reasonable prices. The team of professionals has more than twenty years experience in providing service to their local community. The Society also arranges pre-planning, permanent memorialization and grief support. Merchandise includes a wide selection of urns and caskets. The prices below are based on the General Price List for Edward A. Cooper Cremation Society. However, funeral homes sometimes have special pricing packages available, and you should ask if those are available. Please let the funeral director know that you found Edward A. Cooper Cremation Society on Parting.com to allow us to continue helping families like yours. The funeral directors at Edward A. Cooper Cremation Society are available to provide you with expert advice.